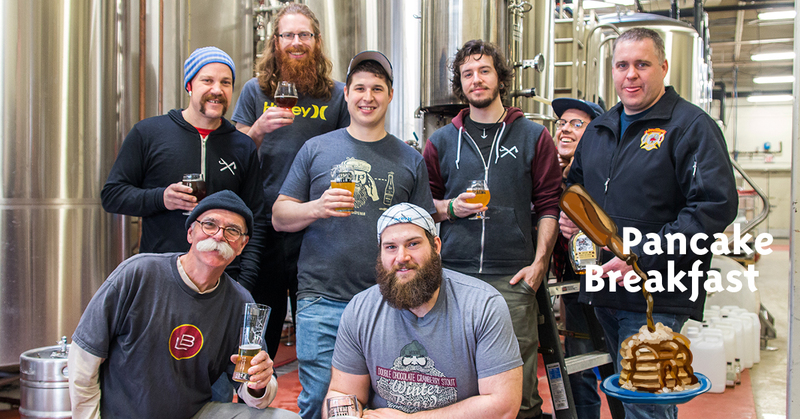 March 23, 2017 – Muskoka, ON – In celebration of the Muskoka Maple Trail & Festival, Lake of Bays Brewing Company, Muskoka Brewery and Sawdust City Brewing Company teamed up to create their first collaboration beer. 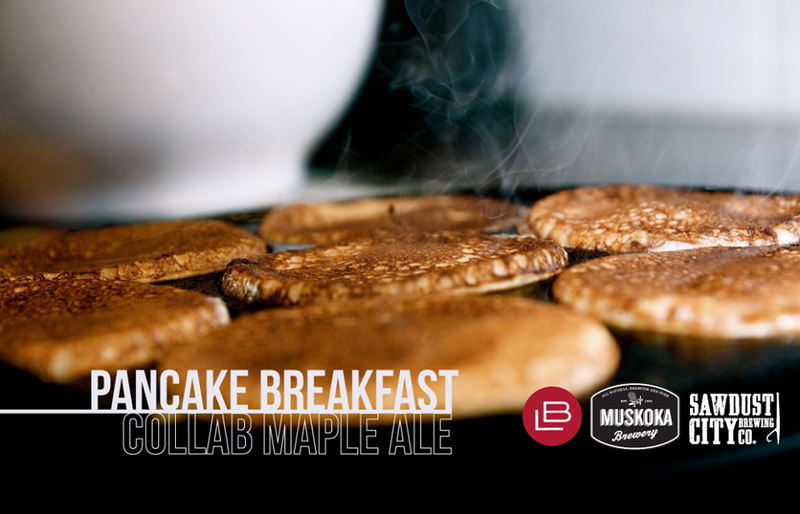 Pancake Breakfast Specialty Maple Ale will be available for tastings at the three breweries during the Muskoka Maple Festival taking place from March 21 – April 23, 2017. Pancake Breakfast is a toasted golden brown ale that is inspired by a perfectly flipped pancake. With a doughy malt centre, aromas of cinnamon & vanilla lead the way while the maple syrup provides a rich body and lingering sweet finish. The maple ale will remind you of sitting around the table enjoying a warm plate of pancakes drizzled with Canada’s favourite syrup. The Muskoka Maple Trail planning committee approached the breweries with a challenge to create a beer created with pure Muskoka maple products. 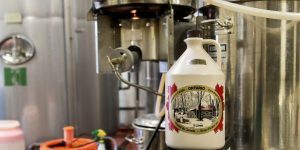 Pancake Breakfast was brewed with maple sap being incorporated into the base water, pure maple syrup being added to the boiling process and a third dose of syrup being added during the secondary fermentation process. The sap and syrup were provided by two local sugar bushes, Sweetwater Maple Syrup in Bracebridge and Maple Bluff Farm in Huntsville. Available for a limited time, the beer will be available in complimentary sample sizes while quantities last at Lake of Bays in Baysville, Muskoka Brewery in Bracebridge and Sawdust City Brewing Company in Gravenhurst. For more information on the Muskoka Maple Trail & Festival visit http://www.discovermuskoka.ca/things-to-do/muskoka-maple-trail/.